the leading cause of caster failure. Watch Series Video to right! 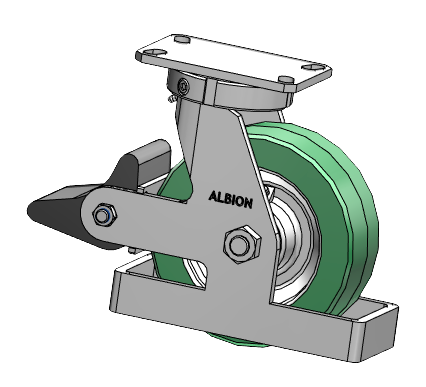 Download native CAD files and datasheets for your project now! Not sure what you’re looking for? 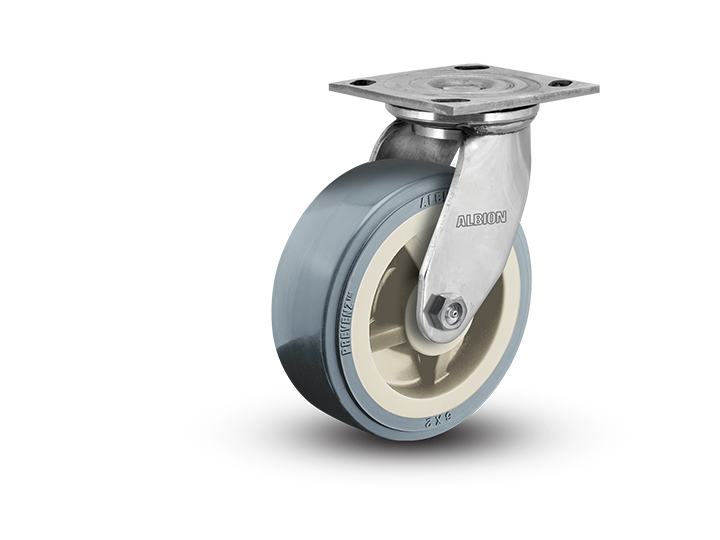 Use our smart filters to find your perfect caster. Reduce noise and increase ergonomics on lighter duty products. 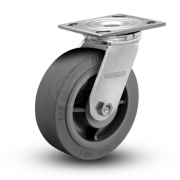 Ultra quiet, 1-1/4″ wide wheel series. 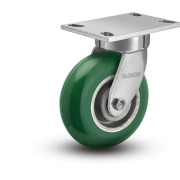 Largest selection of 2″ wide wheel casters; 4″ x 4.5″ plate; USA-made with 3-year warranty. 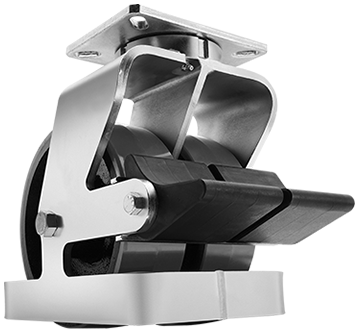 Advance your ergonomics and reduce down-time and noise with this maintenance free series. 4″ x 4.5″ plate. 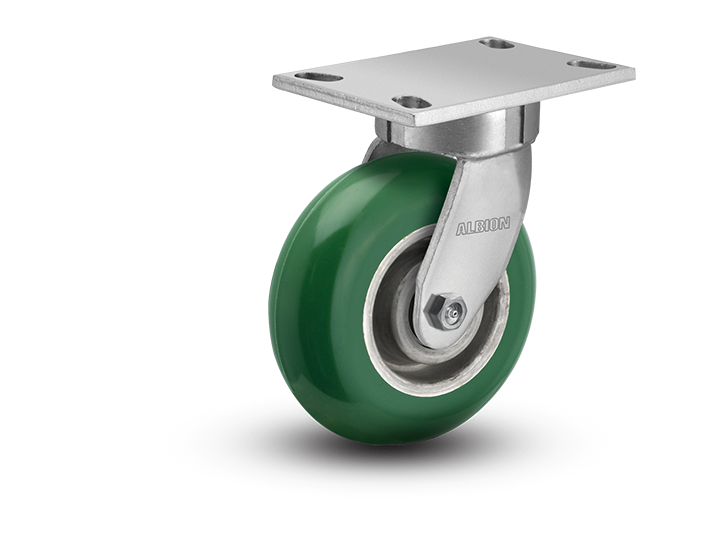 Most popular 4″ x 4.5″ kingpinless series handles shock and impact like no traditional caster can. 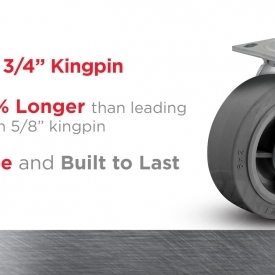 Kingpinless and USA-made, handling up to 4,100 lbs. per caster. 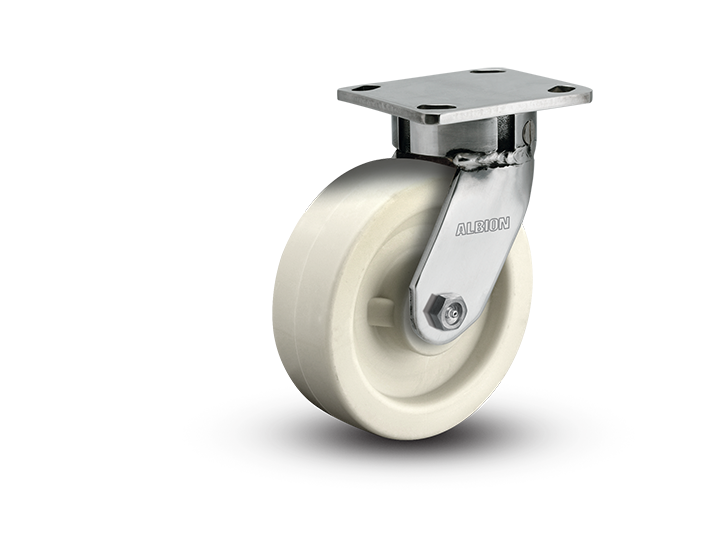 3″ wide wheels for stability and strength. 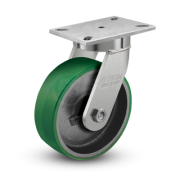 We understand that not every application can utilize an existing caster. Our experienced sales and engineering teams are ready to discuss your unique application needs to design you the perfect caster. 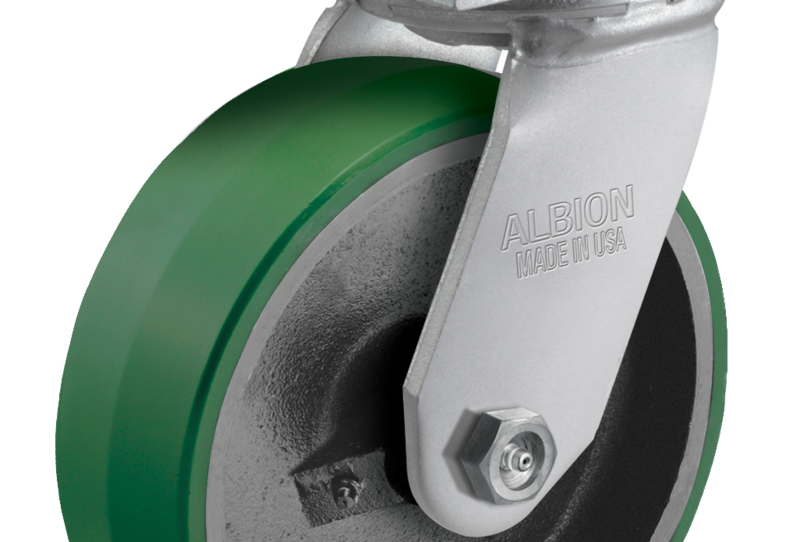 Longer Lasting than Rubber-on-Iron + Non-marking. 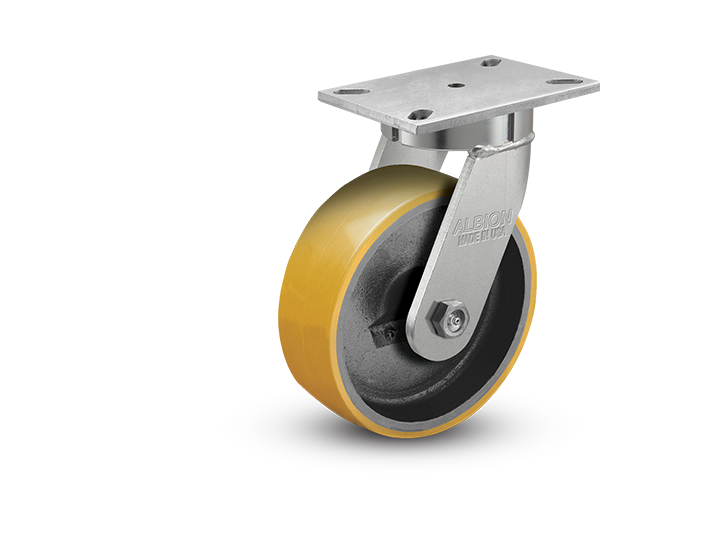 The ideal replacement for your carts; USA-Made. The best in ergonomics + no maintenance, ever. Your employees and efficiency will feel the impact. USA toughness for impact and shock. 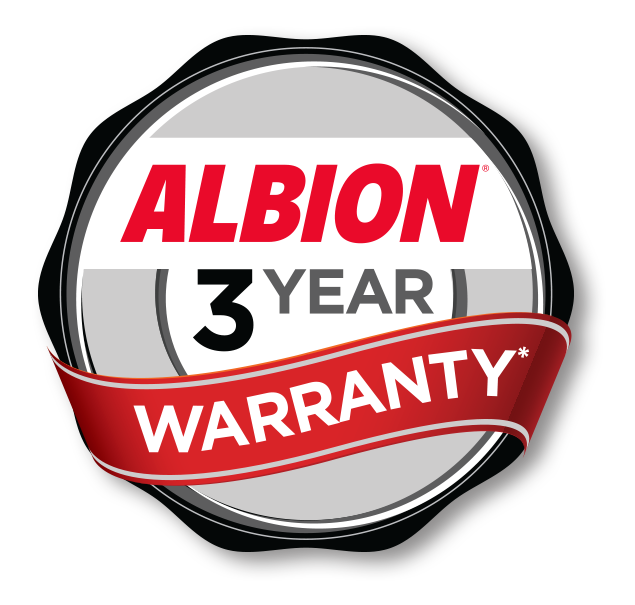 Reduce failure, go 3-year warranty kingpinless. 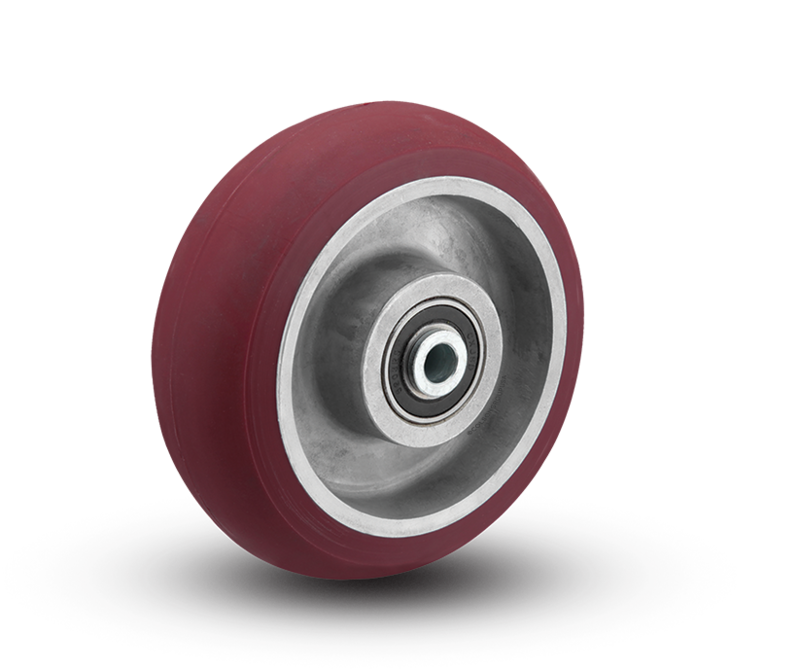 Reduce noise and unwanted vibration. 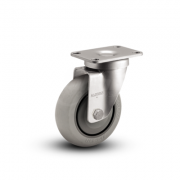 Popular Albion 16 Series swivel casters feature new 3/4″-thick kingpin for increased caster life expectancy. Albion heads to Las Vegas in October for the 2018 GSE Expo. 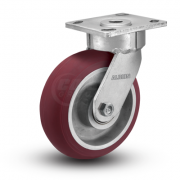 Learn more about popular ground support equipment casters before the event. 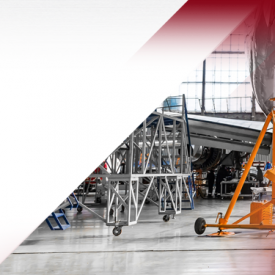 Utilizing the latest in available technologies, our global design and engineering teams ensure every detail in product performance, materials, and aesthetics are delivered to meet and exceed industry and customer expectations. 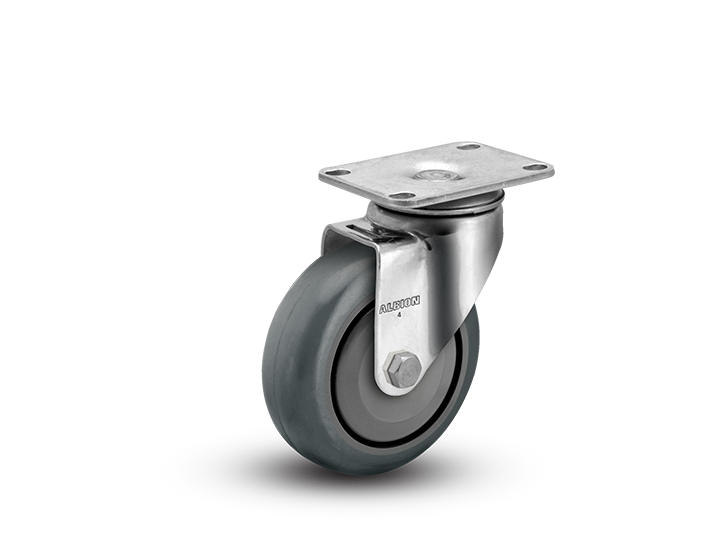 With advanced manufacturing and distribution facilities around the world, we continuously invest in our proprietary supply chain and leading portfolio of USA-made casters to provide the best value to our customers. Delivering truly one-stop shopping, our experienced inside and outside support teams help customers identify the right caster from our leading product portfolio to ensure your expectations and business requirements are met on every order. This is a CASTERPASS site. One login rolls across multiple sites.